Today is the first day of National Park week and I will be posting a photograph each day of a different park which my Danes have visited. This is Scotts Bluff National Monument in western Nebraska. The monument preserves 3000 acres of prairie habitat and unusual landforms. There are 3 trails and leashed dogs are allowed on all of them, clean up bags are even provided at 2 of the trailheads. The park gets a 3 paw rating, if you are unfamiliar with my rating system you can see it at dogs and our national parks. 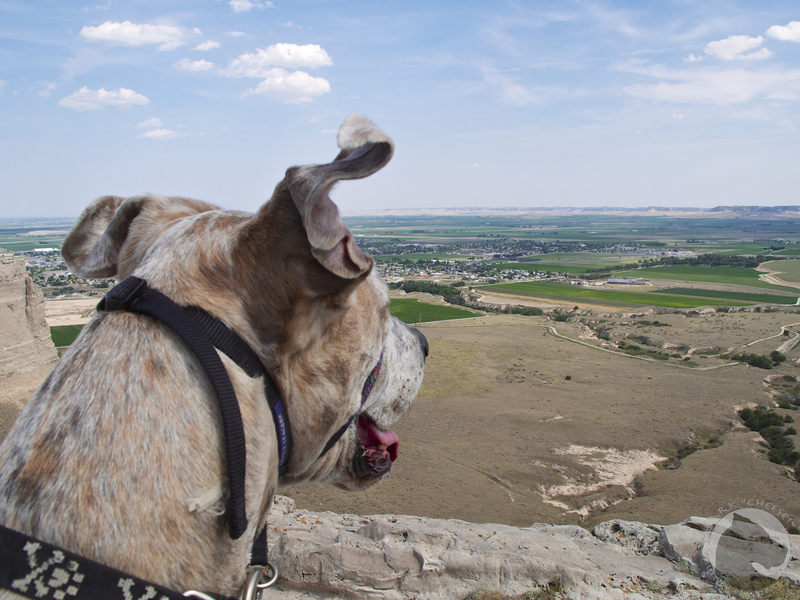 This entry was posted in Great Danes and tagged dogs, Great Dane, K'Ehleyr, National Parks, Nebraska, pet portraits, Scotts Bluff National Monument, traveling. Bookmark the permalink.